We visited some new customers called Lynn and Richard to install some of our bespoke made window shutters to multiple rooms of the home. This included the living room, bedroom and bathroom. Each room have different sizes of windows, but as usual we took time to design the shutters so that the style and finish would flow throughout all rooms. 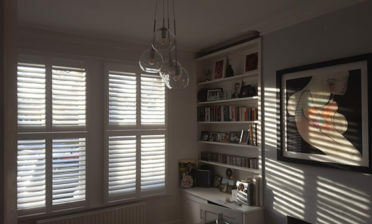 The living room has 3 windows which allow for plenty of light into the room and could really benefit from some of our shutters. We perfectly designed and installed for each size of window in the living room using our Antigua range of MDF which we also used for the bedroom window. 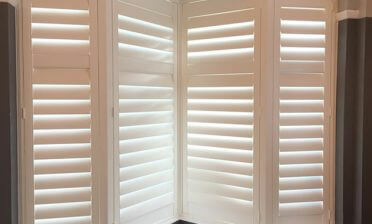 In the bathroom we created the same style of shutters, but in Java PVC for a waterproof, hardwearing solution. As with other bathroom installs we finished these shutters with some stainless steel hinges. 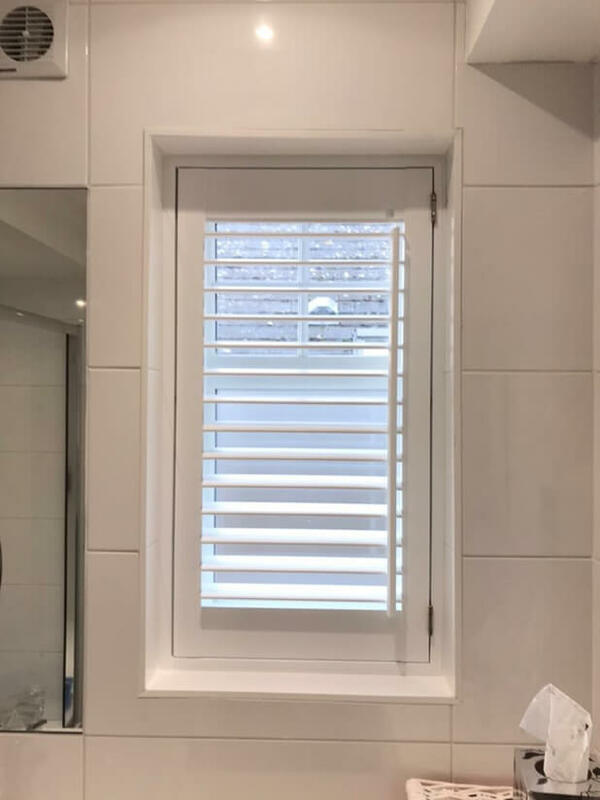 Our bathroom shutters allow for a modern solution to frosted glass windows which we have never been a fan of! 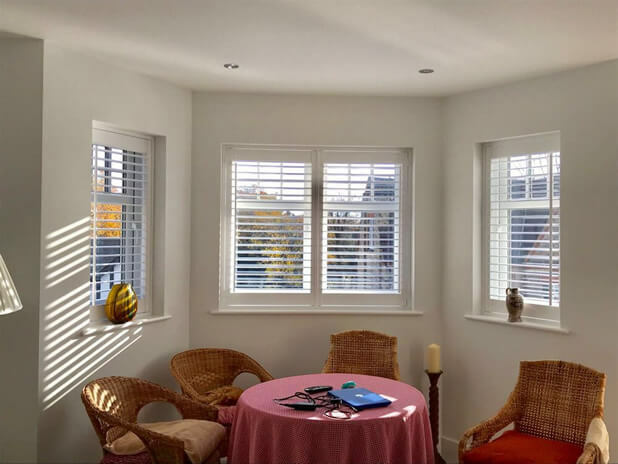 All shutters were created using 63mm louvres, a smaller louvre size we offer which we feel creates more of a private feel compared to thicker slats. 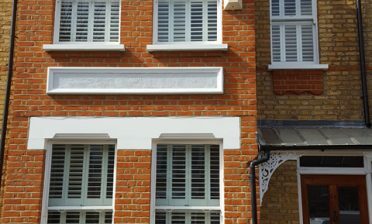 We used offset tilt rods on all the shutters which is an alternative to having them run down the middle or hidden and helps create a traditional and elegant look. 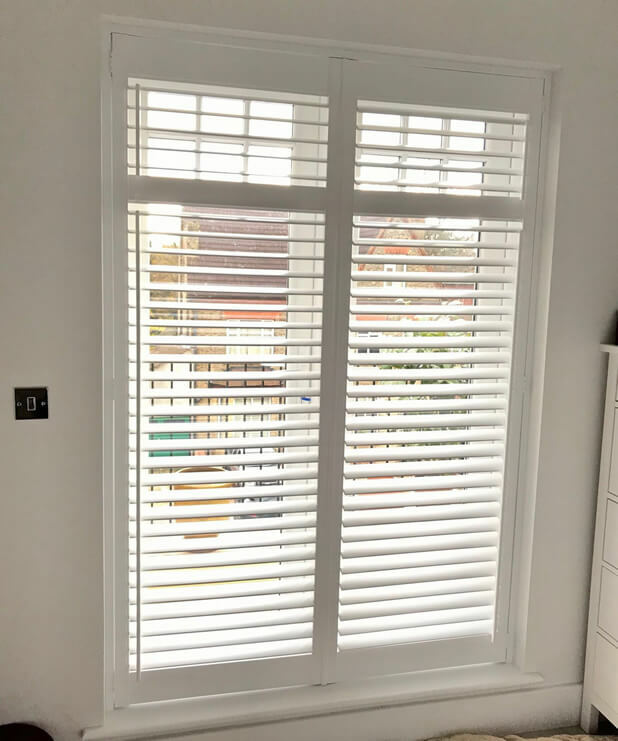 We finished the shutters in pure white and once professionally installed by Ben, left the homeowners to enjoy their new shutters in all rooms for years to come!